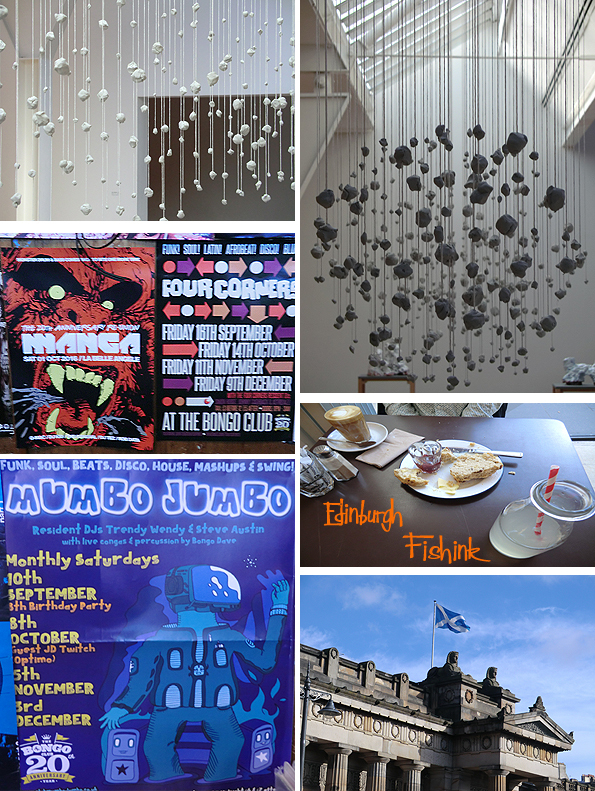 A couple of weeks ago I had the opportunity to spend a long weekend in Edinburgh, I didn’t need to think twice as to whether to go or not. It’s a beautiful city, and I was lucky to see it in such amazing light too. 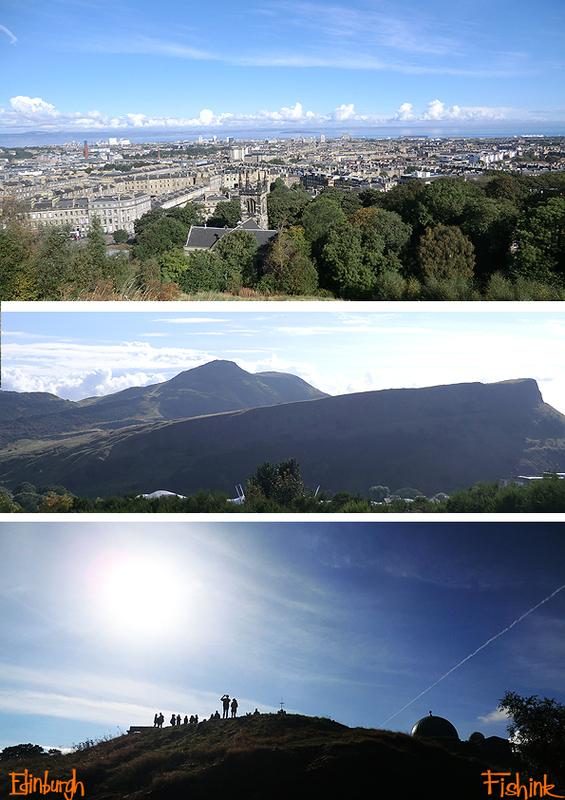 Here we are, standing high on Calton Hill, with views out over the Firth of Forth, Scottish Parliament and Arthur’s Seat. What views! As you can see it’s popular with the tourists, who clamber all over the National Monument of Scotland. 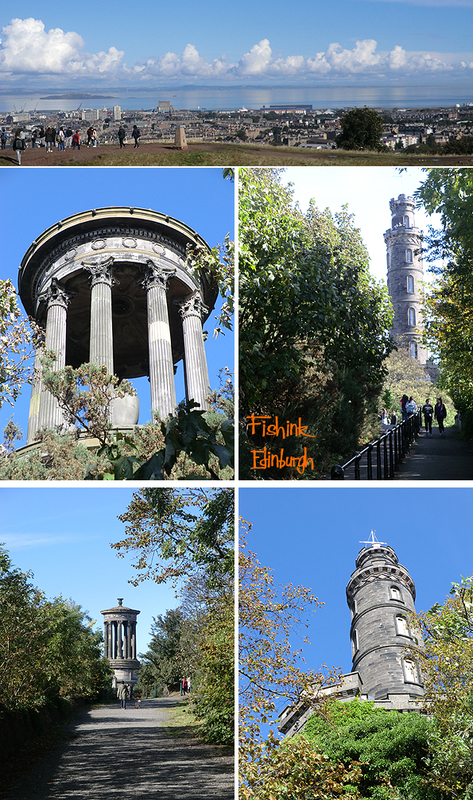 In 1724 the Town Council of Edinburgh purchased Calton Hill, making it one of Britain’s first public parks. 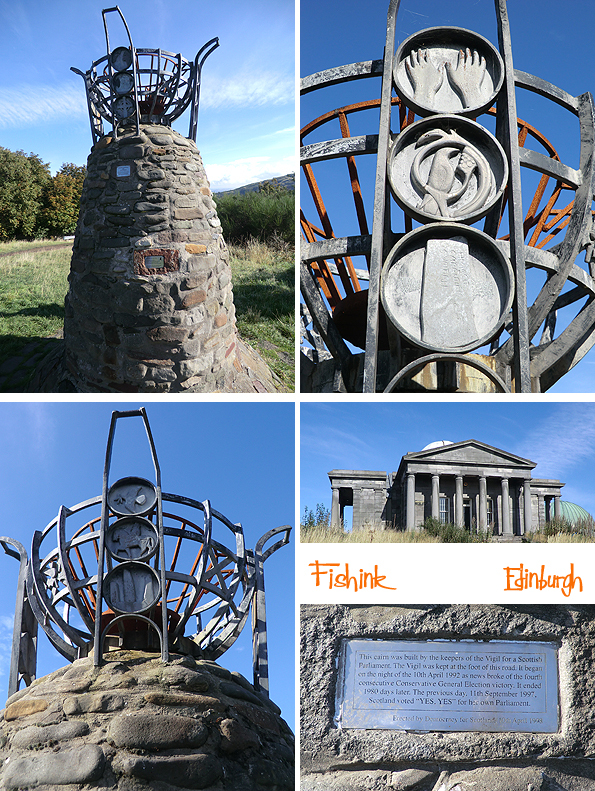 The monuments and buildings date from the 1760’s to the 1820’s and relate to a period known as the ‘Scottish Enlightenment’, a time of great artistic, literary and scientific advances. One of the leading figures of the Enlightenment was the philosopher David Hume, who was responsible for lobbying the Town Council to build ‘public walks or roads for the health and amusement of the inhabitants’ on Calton Hill. You can still stroll along Hume Walk, there, named in his honour. 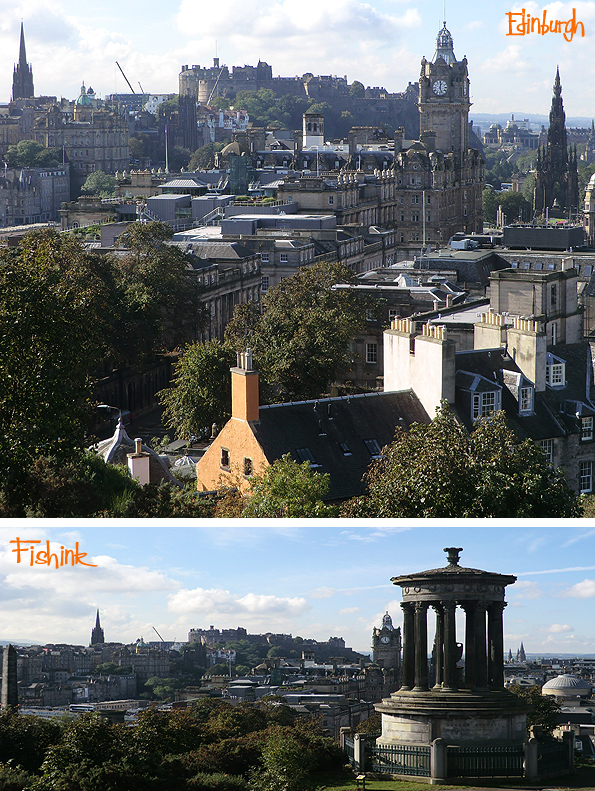 Wonderful for views over the city and up to Edinburgh Castle too. 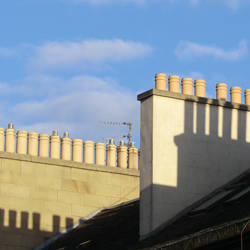 There is some beautiful architecture around the city, often with quirky details. The Fruitmarket Gallery had an exhibition on by Mexican artist Damián Ortega, with a couple of interesting clay hangings. Over the road in the City Art Centre, I noticed a great mural in their cafe. The current exhibition, featuring the work of William George Gillies and John Maxwell, sadly finished on October 23rd. I couldn’t believe how wonderful the weather was for the start of October. 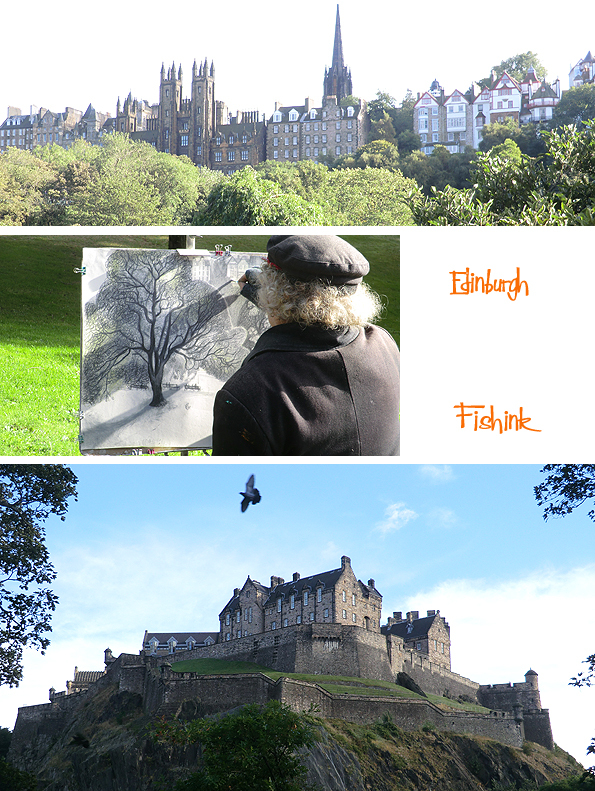 Even saw this artist (reliably informed it is Michael McVeigh) drawing outside in the Princes Street Gardens. 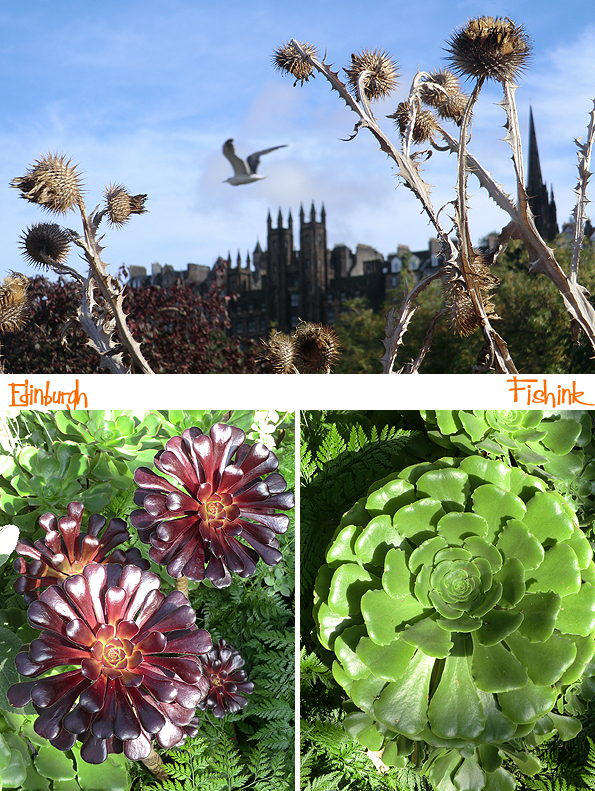 Next week I’ll show you part 2 of my trip with more images from the Botanical Gardens. Glad you enjoyed your trip to my city! The artist you snapped is well known Edinburgh artist Michael McVeigh who recently had a great solo show at the Scottish Gallery. Thanks for the info, well done for spotting the artist in the park (Michael McVeigh) too ! What amazing weather you had, great pictures! 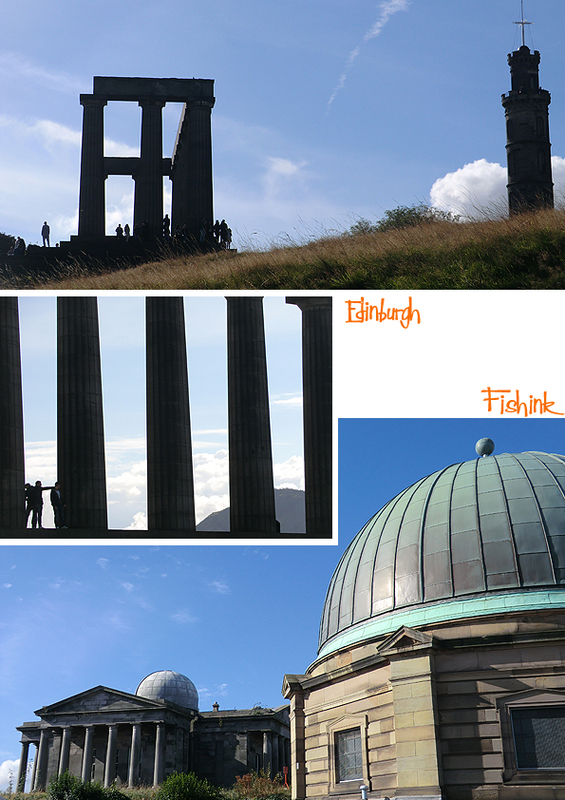 You’ve captured Edinburgh beautifully, such impressive photos. 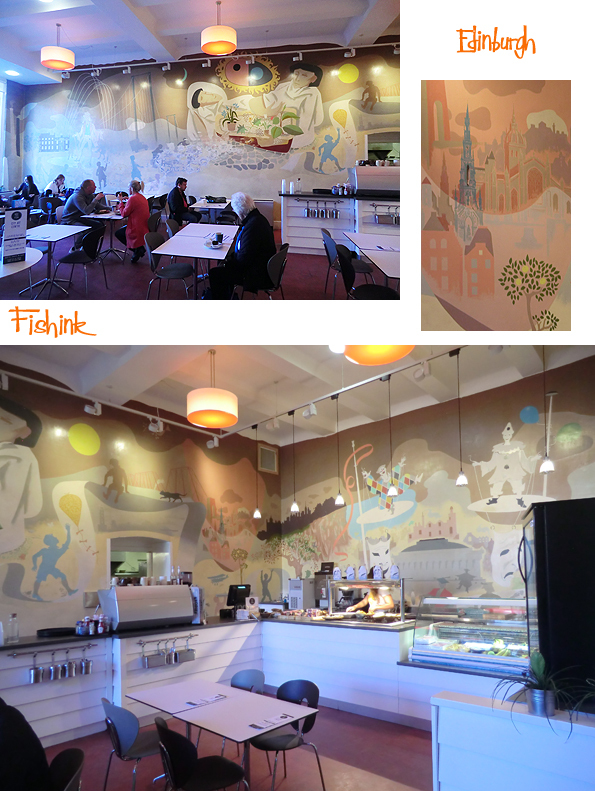 Love that cafe mural! Any idea who the artist is? I believe it might have been William Crosbie http://www.scottish-gallery.co.uk/images/artists/TSG_William_Crosbie.pdf back in the early 80’s. They’re truly wonderful. Ah! Your post is making me homesick but in a fond, fuzzy, happy way. 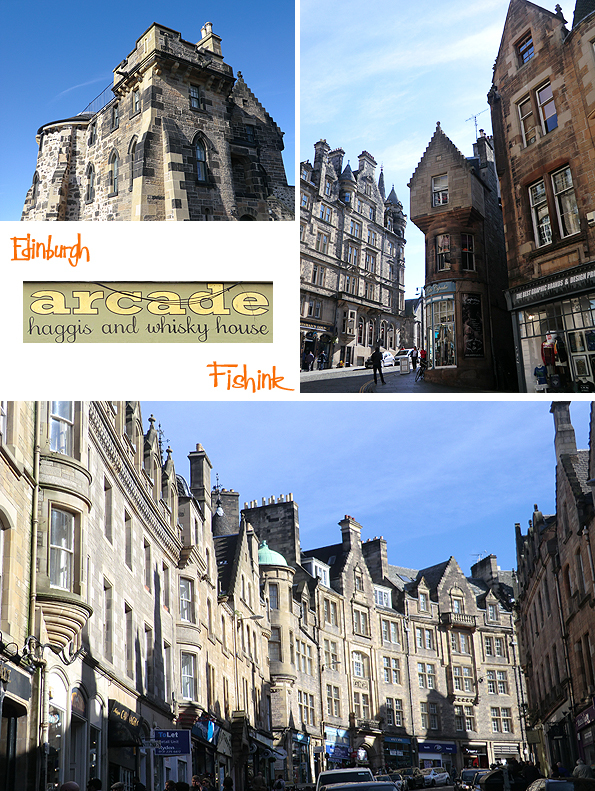 I lived in Edinburgh for years and it’s where I got married. It looks like you were treated to some lovely clear skies and bright light during your visit. I seem to have a habit of making you homesick Laura (apolgies) I guess Edinburgh somehow feels like a second home for me too, hence my travels there.. quite often. Must have been lovely living there too ? It was a great city to live in. No apologies. It’s not a sad homesickness. A nice rush of welcome familiarity is all. Wonderful post! I love the mural in the cafe. I could quite happily sit for a while drinking a cup of tea whilst taking in all the little details.